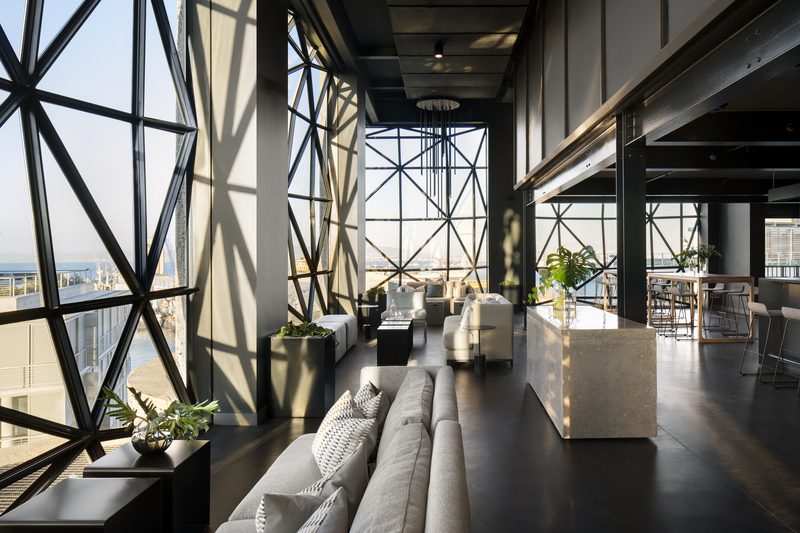 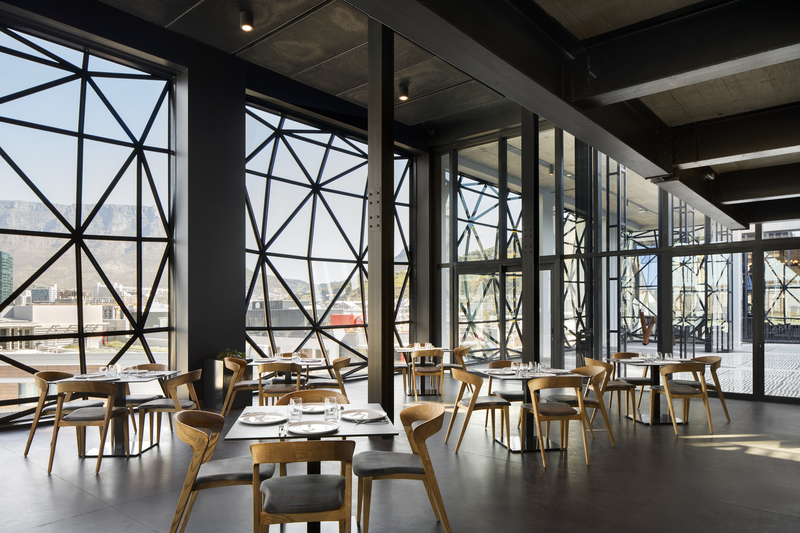 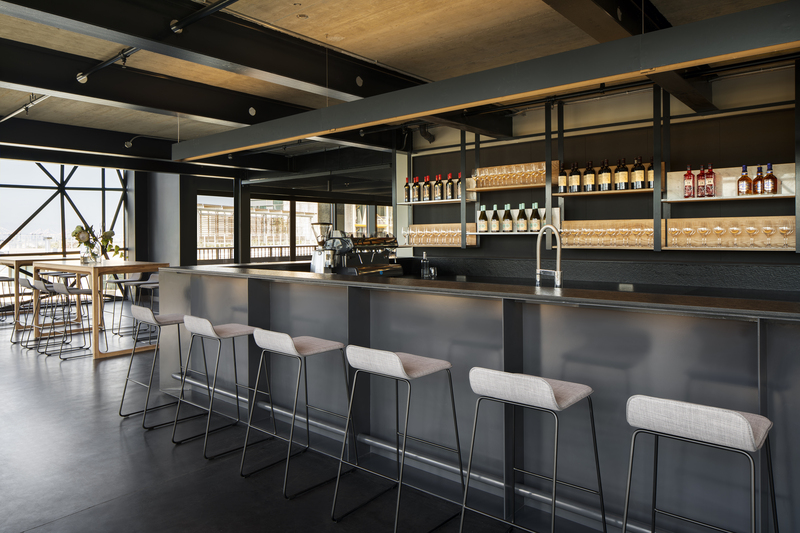 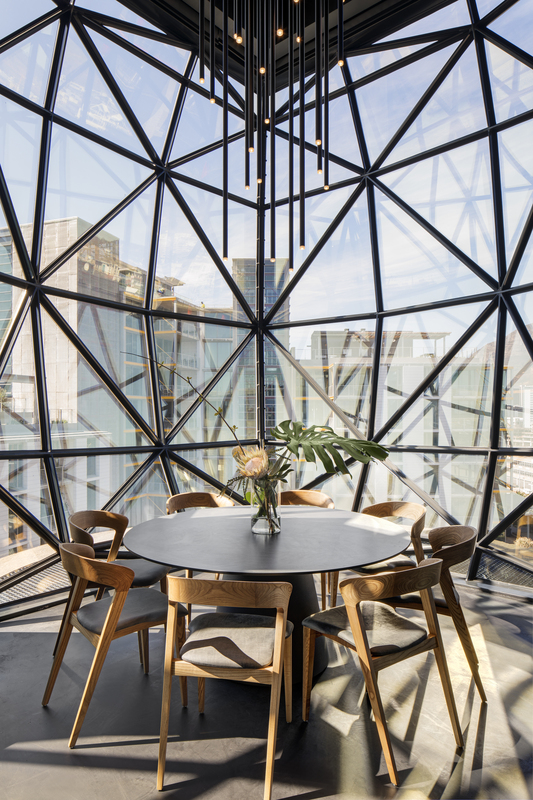 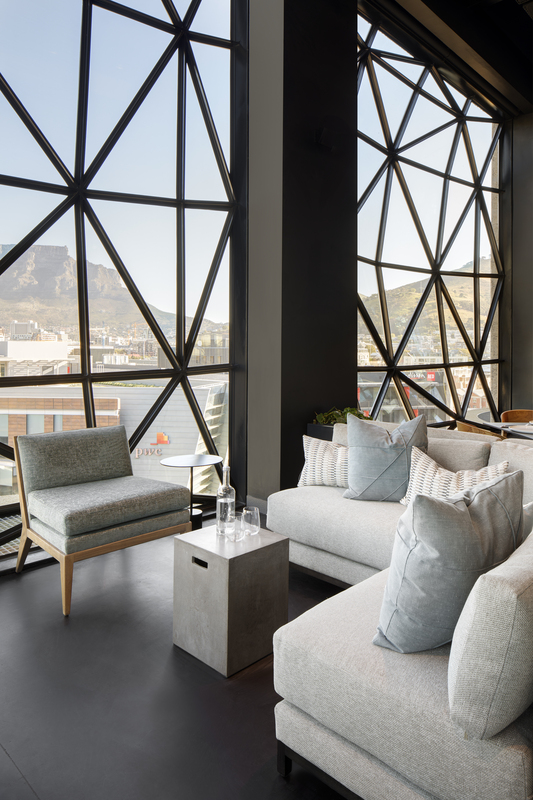 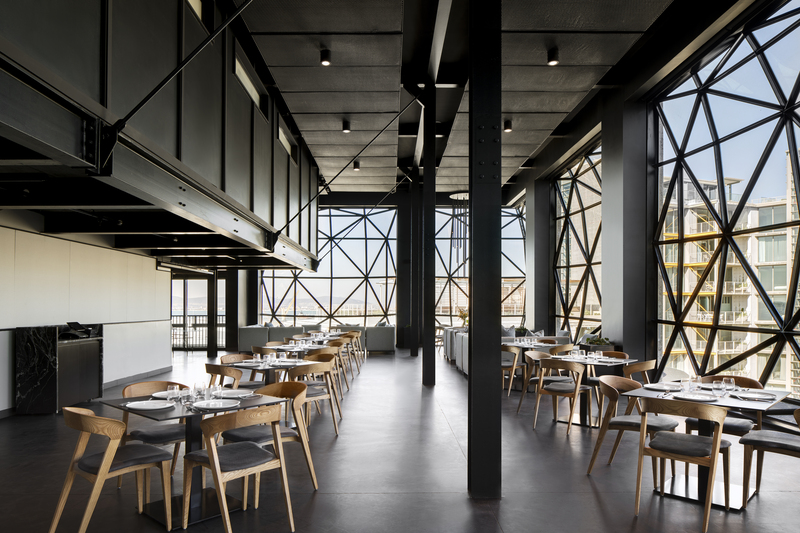 Sitting on top of the recently renovated silos of the Zeitz MOCCA at the V&A Waterfront, the museum café captures commanding views of Table Mountain, the historic harbour of Cape Town, and beyond to the Atlantic Ocean. 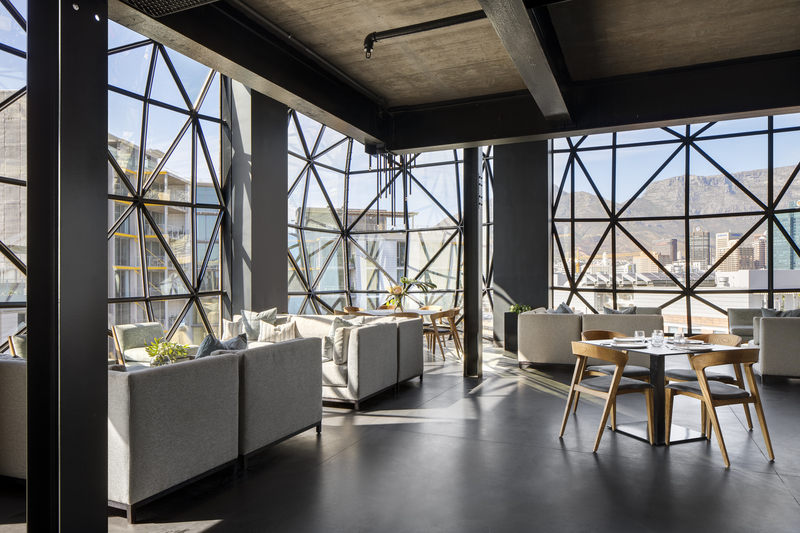 The design of the space draws inspiration from the industrial history of the iconic concrete silos, and their rebirth as a ground breaking, equally iconic modern art museum in Africa. 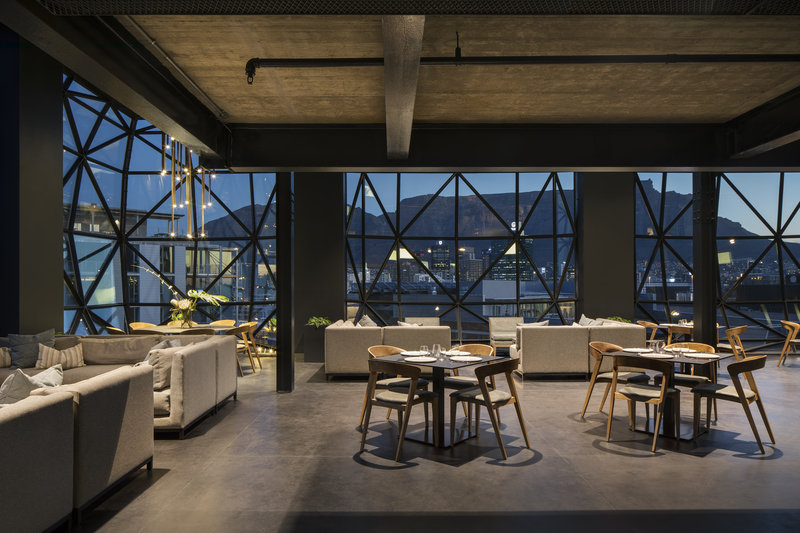 The materials and colour palette reflect the shell of the space, with a modern design sensibility that captures the thriving design pulse of the city. 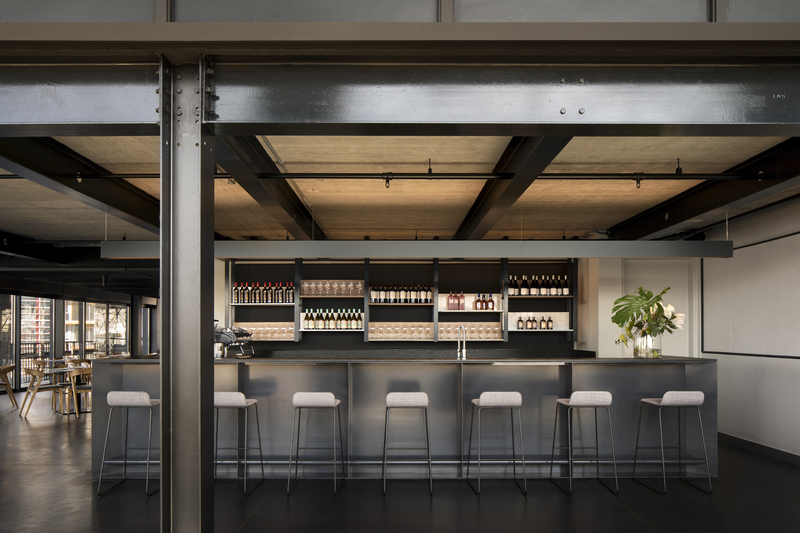 Polished concrete and exposed steel columns are juxtaposed against honed grey veined marble and hand-crafted timber, pin-drop ceiling chandeliers illuminate double volume spaces, while locally-made furniture provides a soft and inviting interior that offsets the sleek modern industrial shell of the space.